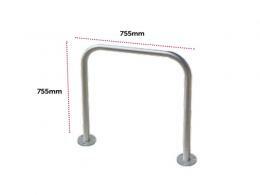 What is the purpose of the Hillmorton Cycle Stand? Patterned after the Sheffield Cycle Stand, the Hillmorton Stand is a sturdy vertical bike stand that has a two-part sign: a large P and a picture of a cycle. This bike stand accommodates two cycles in a couple of ways. The cycles can lock to the stand on either end or on either side, depending on which way the stand is set up. The Hillmorton Stand is made of 48mm diameter mild steel that is galvanised, and it can be available in RAL colours (ask us for more information on the colours). 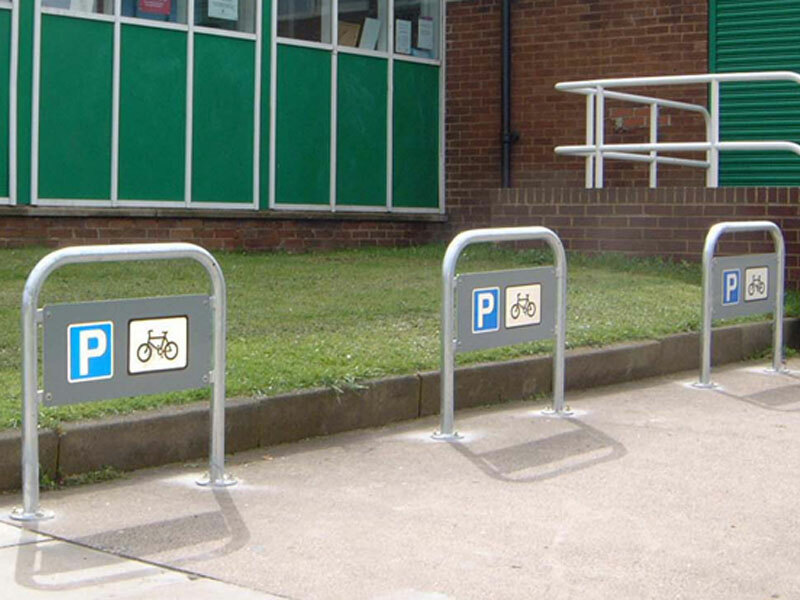 This design of bike rack can be installed on concrete with 6 bolts that are 12mm. The bolts are available separately in a 6-pack below. The Hillmorton Stand is a classy addition to any area. It is especially useful to differentiate automobile parking from cyclist parking. 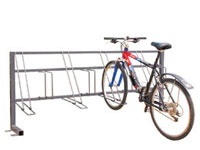 Schools, offices, and parks are wonderful areas that may benefit from a cycle rack such as the Hillmorton Cycle Stand. 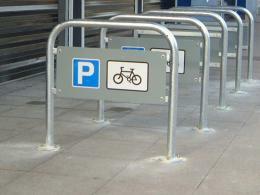 Cyclists who want to lock their cycles to a sturdy parking place for cycles will thoroughly enjoy using this cycle stand.